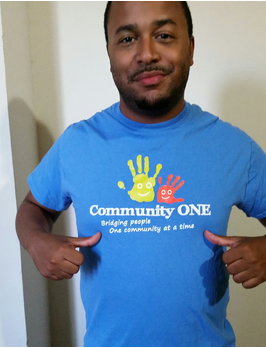 Back to School and Back to Work: Community ONE is looking for volunteers and speakers! Backpacks, school supplies, a new outfit for the first day- all things that remind us it’s about that time for students to go back to school. Community ONE is ready to get back to work, too, and we need your help! We are looking for both event volunteers and speakers (or Stars, as we refer to them) to help us with our upcoming speaker series. If you have been looking for a way to give back to your community, but haven’t quite found the right fit yet, this could be the opportunity for you! We work hard to expose children to career paths that they may have never considered or seen before at home. At our events, our volunteers are a critical part of the fun and educational experience we aim to bring to the participants. As a volunteer you would be responsible for helping to engage the children in discussion with the Star, assist with the overall flow of the program, and participate in the interactive activity. If all of that isn’t enough to convince you, you get a pretty cool t-shirt too! A Community ONE Volunteer sports his t-shirt at an event. If you would like to take it one step further and you think you have a pretty cool job, you may be our guy (or girl). What we’re looking for in a speaker is someone that loves what they do, has a good story to tell about his or her journey to the position they have now (including challenges he or she may have faced), and can explain all of this in a kid-friendly manner. In addition, we will work with you to develop an interactive activity that the students can participate in to get a hands-on sense of what a typical ‘day in the life’ of you might look like. Do these sound like you? Let us know if they do! Send an email to info(at)communityone(dot)org with your name, contact information, and what you would be interested in doing. We look forward to working with you!